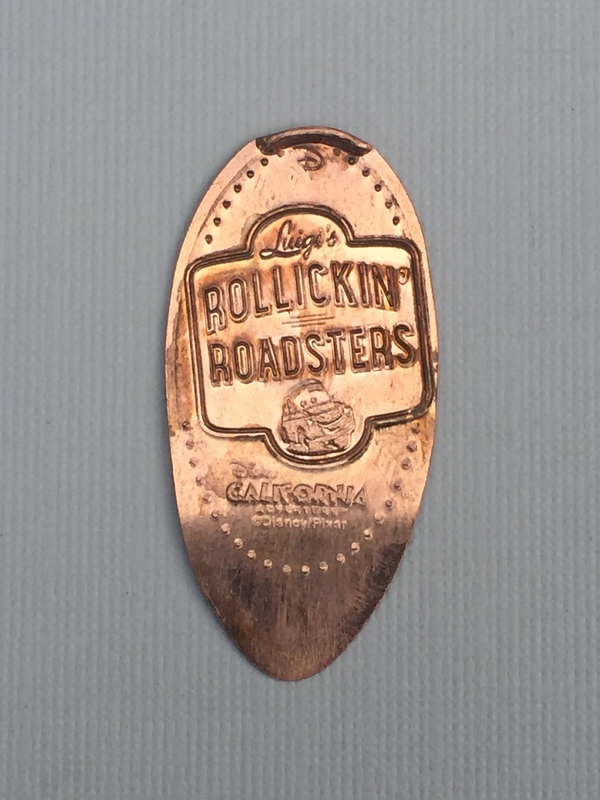 For collectors on the west coast be on the look out for a new pressed penny design available at the Disney California Adventure park. The machine is located in the Five and Dime store. Note I said pressed penny (singular) meaning only one of the designs has changed. The original design that was located here was of Luigi’s Flying Tires which was a ride located in Car’s Land. This ride was like a huge air hockey table, you would ride in oversized tires floating on a cushion of air bumping into each other. 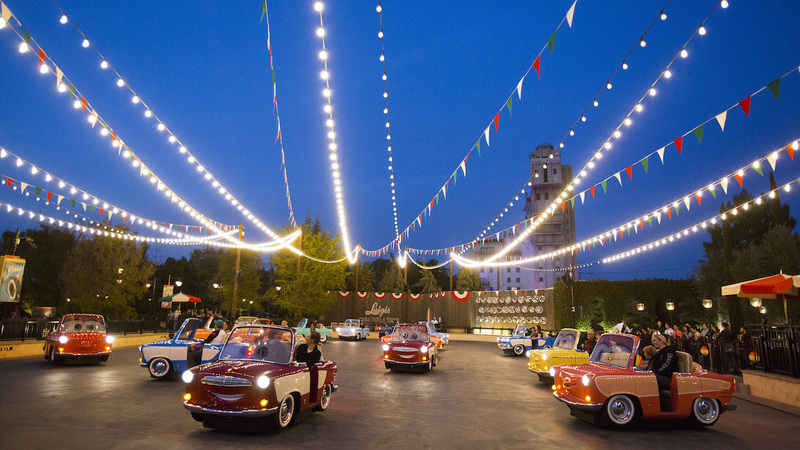 The attraction originally opened back in 2012 but recently closed in 2015 to make way for a new attraction Luigi’s Rollickin’ Roadsters. The back story of this ride goes as follows. 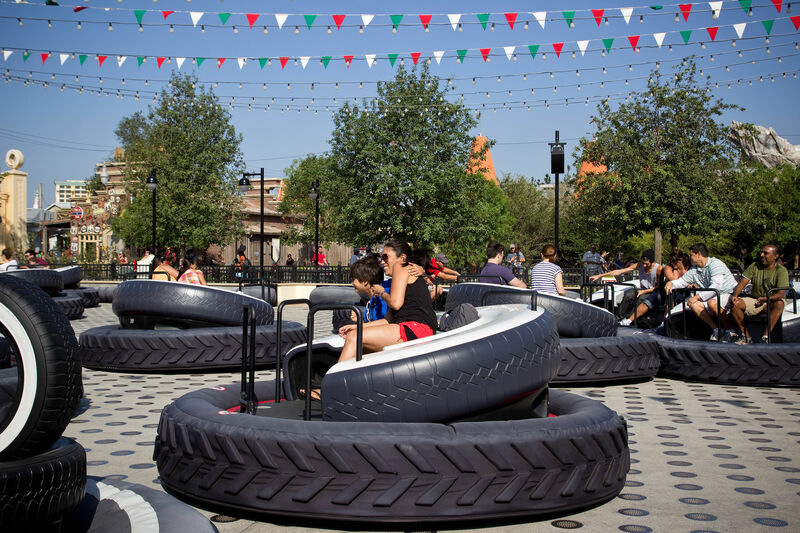 Luigi has invited his cousins from Italy to Radiator Springs for a dance festival being held in the tire yard behind his Casa Della Tire Shop. This ride has guests loaded into various vehicles (Luigi’s cousins) who all have a unique look and dance moves. The vehicles then move and spin to Italian music but due to the magic of Disney Imagineering the cars never crash into each other. Now back to the penny. So when the Luigi’s Flying Tire design was removed it only made sense to replace it with a new Rollickin’ Roadster design and that’s exactly what happened. Above are all three of the designs available at this machine. 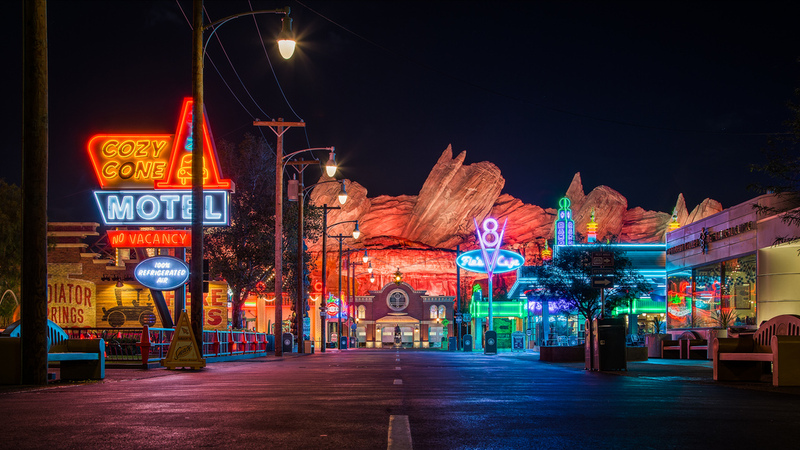 The two designs on the left are the same as they were previously: Radiator Springs Racers, and Mater’s Junkyard Jamboree. The new penny is located on the right. Here’s a close up of the new Luigi’s Rollickin’ Roadster image. 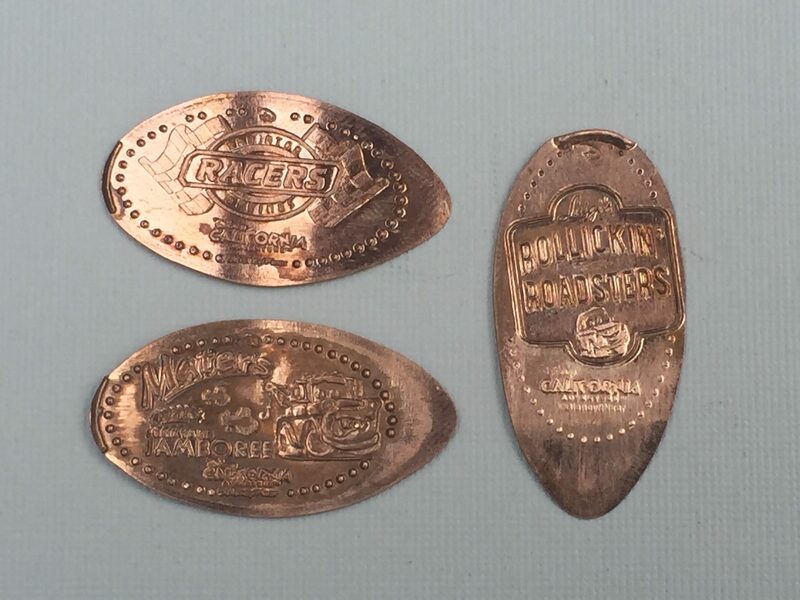 I would have loved to see three brand new designs, but shouldn’t be greedy we did just get 60 new coins over the last year because of the Diamond Celebration. But this is a nice new addition to the collection, and on a side note if you haven’t visited Car’s Land do yourself a favor and check it out. This is definitely a place that transforms you right into the movie. Remember to keep your eyes open for penny machines you never know where they will pop up. Keep on Collecting! !